Do you already have SalesPad Desktop? There's no need to switch to a different software to accept payment from a customer, or dedicate resources to maintaining a separate payments solution. Get a solution that's built directly into your ERP system. 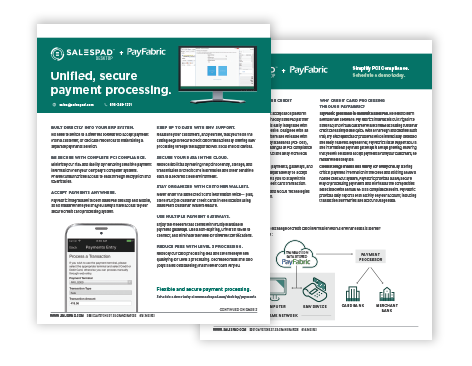 Learn more about PayFabric and how this unified payment solution can help alleviate many major challenges of PCI compliance. Download the fact sheet to learn how this simple, flexible, and secure add-on can help your business. Learn all about Manufacturing for SalesPad Desktop and see how it can help your business.